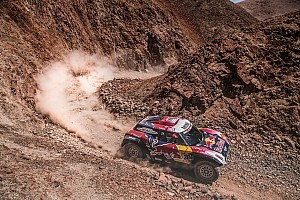 Defending Dakar Rally champion Carlos Sainz has branded the roadbook of the 2019 edition “a disaster” after his costly accident on the third stage. Sainz, who was sixth heading into Wednesday's 331km test but trailed the marathon leader by less than three minutes, says he came up on an unsighted ditch in the early kilometres of the stage. 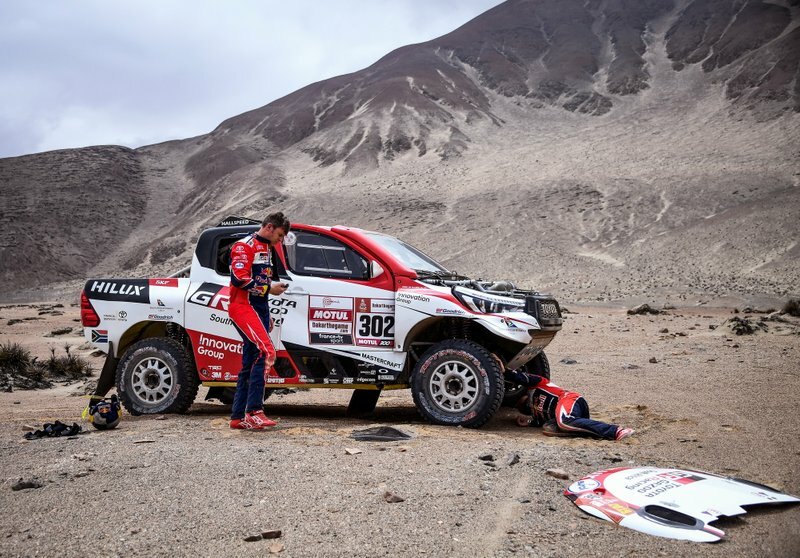 It broke the front-left suspension of his X-raid Mini John Cooper Works Buggy, and left him stranded for over three hours, almost certainly putting an end to his hopes of adding a third Dakar win in 2019. 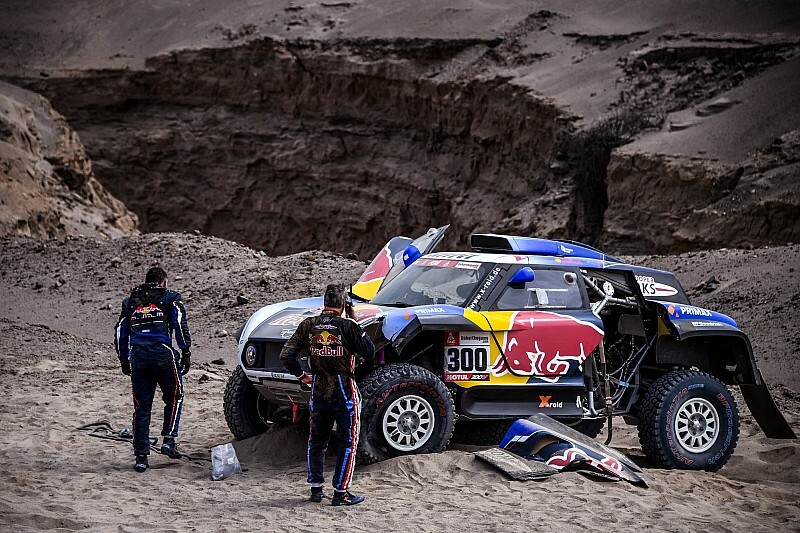 “I'm disappointed, I didn't think I'd have the problem I had,” Sainz said upon arriving to the Arequipa bivouac just short of midnight. “We were going at a good pace, but we weren't attacking hard, and we got into a ditch that should have been marked on the roadbook. “If I went back to the same place tomorrow, I'd have the same accident again. Sainz, who sits 36th overall in the general classification, four hours and 16 minutes behind rally leader Nasser Al-Attiyah, will continue on Thursday – and believes he could make the top 10 on sheer pace. However, the 56-year-old had to manage neck pain through Wednesday's stage, and it could yet impact his plans for the rest of the event. 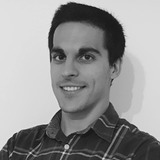 “We'll see how my neck is, it hurts a little and it's been bothering me all day,” Sainz said. 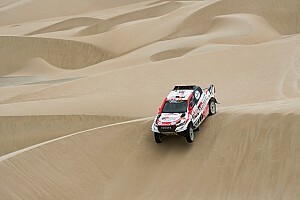 Toyota driver Giniel de Villiers, who entered stage three as the leader, was another driver to lose over four hours and drop out of contention. “We were really unlucky,” the 2009 champion said. “We were going really well. “I jumped on the one jump and I landed into the next jump, but in the next jump there was a stone in the track, and the stone hit the guard underneath, which unfortunately broke the engine mounting. “The engine fell, the oil filter broke. We had to stop and repair. We managed to fix it at the end of the day.